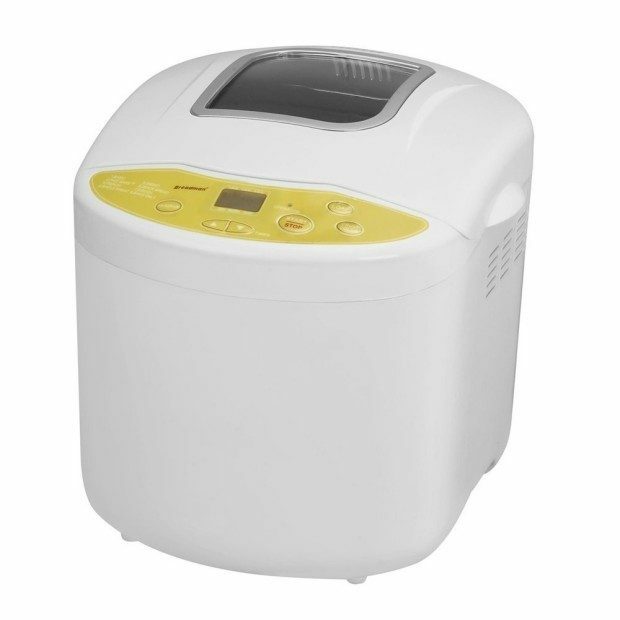 Breadman Programmable Bread Maker Only $45.99 Shipped FREE! You are here: Home / Great Deals / Amazon Deals / Breadman Programmable Bread Maker Only $45.99 Shipped FREE! There’s nothing better than waking up on a cool, crisp morning to the aroma of baking bread! Get the Breadman Programmable Bread Maker Only $45.99 Shipped FREE from Amazon! The machine bakes 1-, 1-1/2-, and 2-pound loaves in less than an hour and can handle any favorite recipe–from cinnamon raisin, honey wheat, rosemary, and cranberry oat to hearty rye, cheesy onion focaccia, and classic French bread, even cinnamon rolls for breakfast or dinner rolls for the evening meal. The unit also provides a delay timer that can be set up to 13 hours–great for waking up to or coming home to a warm loaf ready to be sliced and lathered with butter!